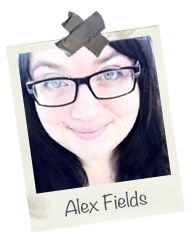 Alexandra Fields is a dynamic, dedicated Graduate Resident Director at the University of Kentucky. She received her Bachelors of Science in Psychology from the University of Central Florida and is currently pursuing her Masters of Social Work at the University of Kentucky. Alexandra is passionate about developing student leaders, training, and advocacy. In addition to her work in Student Affairs, she is a domestic violence and sexual assault crisis counselor and identifies as an ally to members of many communities.